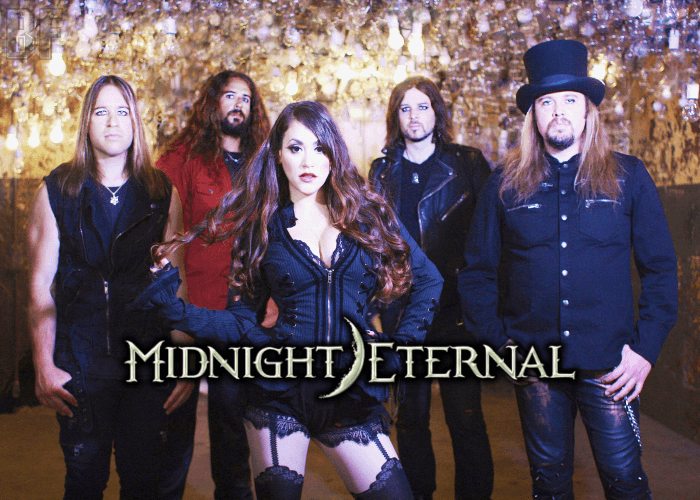 Newcomer female-fronted Symphonic Metal act MIDNIGHT ETERNAL will release their self-titled debut album through Inner Wound Recordings on April 29th. The Japan version also will be released on April 27th. The band members are from New York and New Jersey, was just formed in March 2014. 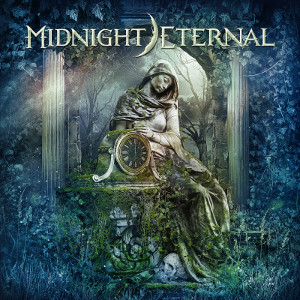 After they released the first two track EP, MIDNIGHT ETERNAL shared the stage with Kamelot, Dragonforce, Sonata Arctica, Delain, Xandria, Doro, The Agonist and Quiet Riot, among others. This album was mixed and mastered by Tommy Hansen (Helloween, Pretty Maids, Jorn), engineered by Eric Rachel (Skid Row, Symphony X, Hatebreed), and the cover artwork was done by Jan Yrlund (Apocalyptica, Korpiklaani, Delain). Perfect for fans of bands like Delain, Nightwish and Kamelot.